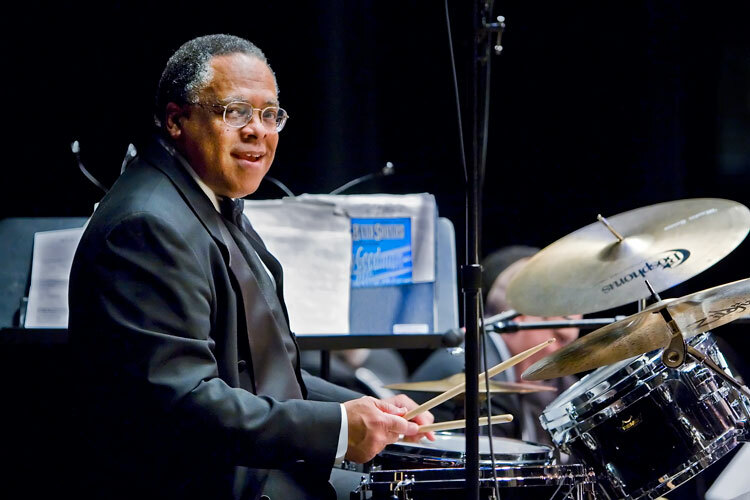 Clarence Acox, Jr. is an award-winning American jazz drummer and band director. Born in October 1947, he is a native of New Orleans, Louisiana. Since his arrival in Seattle in 1971 he has become one of the most influential musical directors in the Pacific Northwest and one of the most successful in the nation. He is currently the director of the various jazz bands at Garfield High School in the central district of Seattle. Clarence Acox arrived in Seattle after graduating from Southern University in Baton Rouge, Louisiana. He was hired to reconstruct and refresh the high school’s historic marching band, but ended up transitioning into their jazz band program. After adopting the program in 1979, his jazz band, the Garfield Jazz Ensemble, has won every major band competition in Nevada, California, Idaho, and Washington State. Under his tutelage, his band has gone on 11 tours throughout Europe, traveling to various festivals in Switzerland, the Netherlands, France, Italy, and Austria. The Essentially Ellington High School Jazz Band Competition and Festival in New York City is the largest jazz band competition in the United States. Bands from across the nation compete for the title of best jazz band in the country. Acox’s Garfield High School is the only band to ever take the first-place crown four different times, winning in 2003 and 2004, as well as in 2009 and 2010. The high caliber of Acox’s bands has stimulated a powerful local (Seattle) rivalry with Roosevelt High School. As a result of the rivalry, Roosevelt’s high school jazz band has won three first place awards at the Essentially Ellington Festival making Seattle bands exceptional performers in these national competitions. Over his professional career in public education, Clarence Acox has won numerous awards that recognize his excellence as a teacher and a music director. In 1991 he was named Musician of the Year by the Earshot Jazz Society of Seattle. In 2001, Acox was named Educator of the Year by Down Beat magazine. In 2003, he was presented the Impact Award by the National Academy of Recording Arts and Sciences (NARAS) which is best known as the national organization that presents the GRAMMYs each year. In 2004, he was recognized as Outstanding Music Educator by the Seattle Music Educators Association. In May 2016 Acox was awarded an Honorary Doctorate in Fine Arts from Cornish College of the Arts in Seattle. Acox is also an accomplished musician as well. He is a regular performer on the jazz nightclub scene in the city of Seattle. He is a member of the Seattle Repertory Jazz Orchestra, which he co-founded in 1995 with the University of Washington saxophone instructor, Michael Brockman. He is also director of Seattle University’s Jazz Ensemble. Acox, who is single, lives in Seattle. "Origin Records Artist Clarence Acox – Drums," Origin Records Artist Clarence Acox – Drums. The Origin Music Group, http://originarts.com/artists/artist.php?Artist_ID=146; Paul De Barros, "Clarence Acox | Jazz Journalists Association Awards." Clarence Acox | Jazz Journalists Association Awards. Jazz Journalists Association, http://www.jazzjournalists.org/clarence-acox. “Origin Records Artist Clarence Acox – Drums,” Origin Records Artist Clarence Acox – Drums. The Origin Music Group, http://originarts.com/artists/artist.php?Artist_ID=146; Paul De Barros, “Clarence Acox | Jazz Journalists Association Awards.” Clarence Acox | Jazz Journalists Association Awards. Jazz Journalists Association, http://www.jazzjournalists.org/clarence-acox.